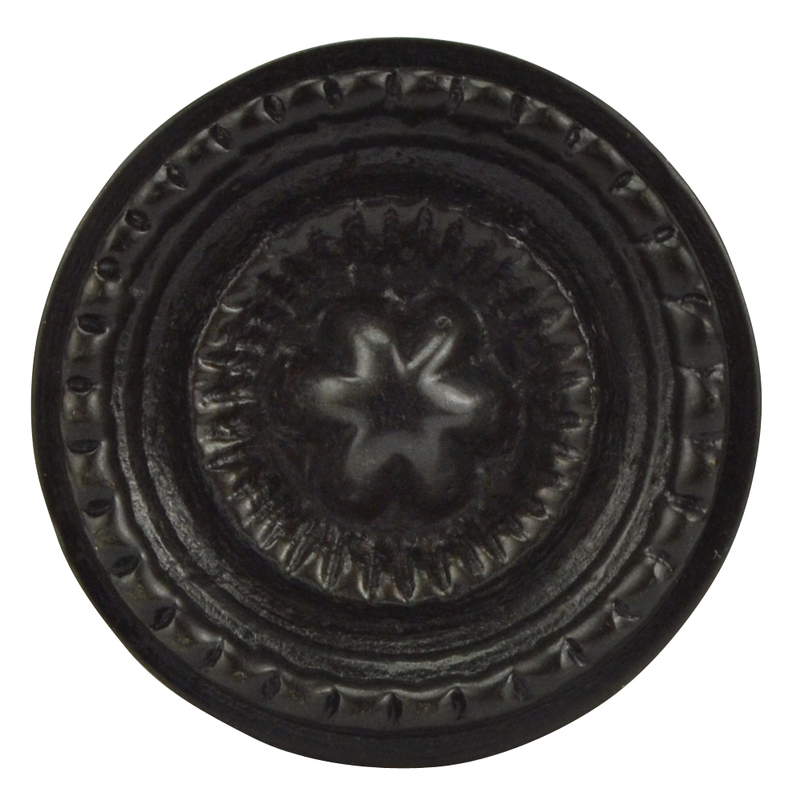 1 1/4 Inch Solid Brass Beaded Star Round Knob (Oil Rubbed Bronze Finish). Measures 1 1/4 inch in diameter with a projection of 1 1/4 inch. Comes complete with mounting hardware. Available in several sizes and finishes including polished brass, antique brass, oil rubbed bronze, polished chrome, brushed nickel, and flat black.